In part one of my tutorial, I showed the basics of building in Hammer and how to add rooms made in hammer to the Alien Swarm Tilegen. In this tutorial, I'm going to talk about building multiple rooms that you can tie together to form a full map. I want to warn you now, it's a fairly long tutorial. In this tutorial, I'll be showing off the basics of Hammer to help people with no experience in the tool to make tile sets for Alien Swarm. Hammer is the main editing tool used to make many of the Source based games out there. 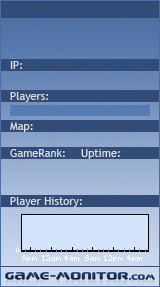 TPG Alien Swarm servers = live!